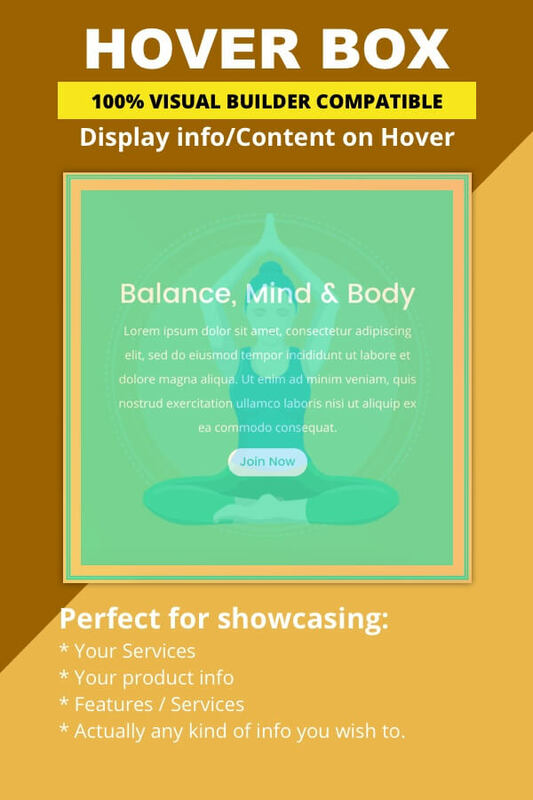 Divi Hover Box Module is an interactive Divi module, which you can use to display some info/content on hover. You can use this module to display your services, features, team members, offers, testimonials and actually any content/info you wish. This plugin is 100% Visual Builder Compatible. Actually any kind of images gallery you wish to. Standard customizable options same as any other divi module. Simply upload and install the plugin and then you should see a new module named “Hover Box”. Add it via the visual builder or back-end builder and the options there are simple and self-explanatory. If you like this, have a look at my other available freebies and products. is there a way to Lazy Load the background images for this plugin? It doesnt seem to work with any of the lazy load plugins available.